Riding a bicycle for many miles can be a challenge for anyone. Riding 470 miles in 6 days over the Continental Divide twice, in temperatures ranging from 32 degrees to 99 degrees, well, this takes a certain mental attitude of determination no matter who you are. Now, try it on a tandem mountain bike when you’ve never been on one before, try it when one rider has never been on a bike for more than 25 miles at a time before, and try it with minimal seasonal training. Now, to top it off, try it with your spouse! We smiled. We thought, “What are we getting ourselves into?” We practiced. Left turn. Right turn. Pedal. Glide. Stop. Go. BUMP! “How do you get out of these pedals?” We set up our tent with a thousand other riders on the school football field for the next day’s early morning start. There were only a couple other tandems and they were both road bikes. We didn’t speak much. Our neighbors in our tent community, from Minnesota, smiled knowingly, “You’ve never done this before? 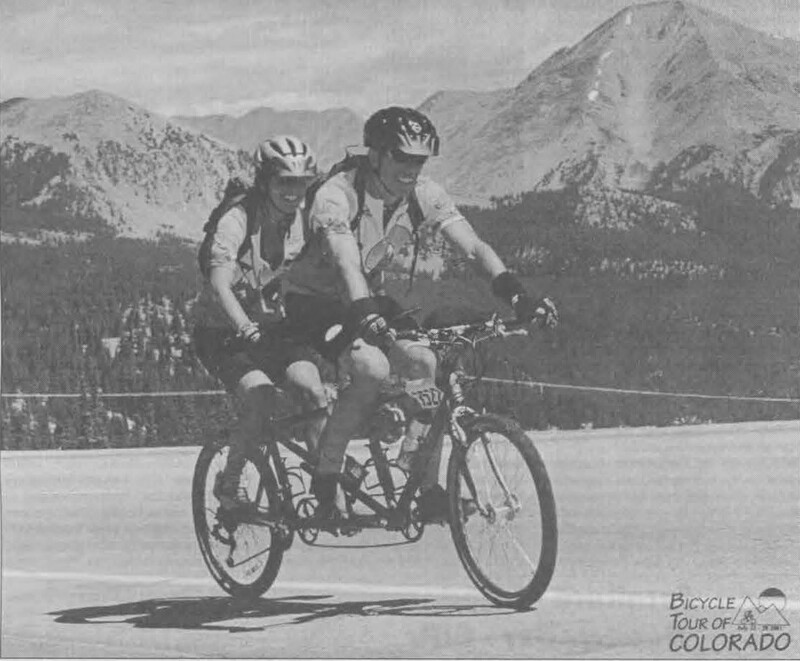 You’ve never been on a tandem before?” She was a triathlete, he was less experienced. Both of us sank deep into our own thoughts and slept lightly, filled with anticipation for the next day. We have our own recollections of the next few days…. Day Two: Gunnison to Delta; 100 miles; Climb 2,000 feet to over 9,000 feet elevation along the Blue Mesa Reservoir, then descend to the desert at just over 5,000 feet elevation. Jo: “I feel good today. After yesterday I can do anything. I think we’re getting the hang of this. This Canyon is so beautiful. The air against my skin feels nice. Hawks are riding the thermals above. Plenty of sun screen on. The climb today is filled with I switchbacks. This is better than yesterday, because the road climbs a ways and then descends and climbs again. Not all up and all down. I feel more comfortable going down. Lean into the turn. Relax my body. The day is starling to get hot. Keep drinking. Stay hydrated. Keep going. We’re almost there. Ahhhh. I never guessed I’d be showering in a truck in the desert. It feels good to cool off. Can’t wait for the sun to go down. We need sleep. Day Three: Delta to Palisade; 75 miles; Over the Grand Mesa, climbing almost 6,000 feet, then descending again to desert and peach country. Day Four: Palisade to Glenwood Springs; 76 miles, along a highway in a canyon gently rising 1,000 feet. Day Five: Glenwood Springs to Leadville; 90 miles, climbing almost 5,000 feet to Tennessee Pass at Elevation 10,424 feet. Day Six: Leadville to Salida; 60 miles, downhill, past the Collegiate Peaks. It was on top of a mountain under a snow-covered Lodgepole Pine that he first spoke of his true nature. He was with strangers who had all signed up to learn to be outdoor educators with the Leadership School. They had climbed all day long from their first camp site in the foothills of Washington until they reached the knee-deep springtime snow that weighted the Cascade Mountain peaks for as far as the eye could see. 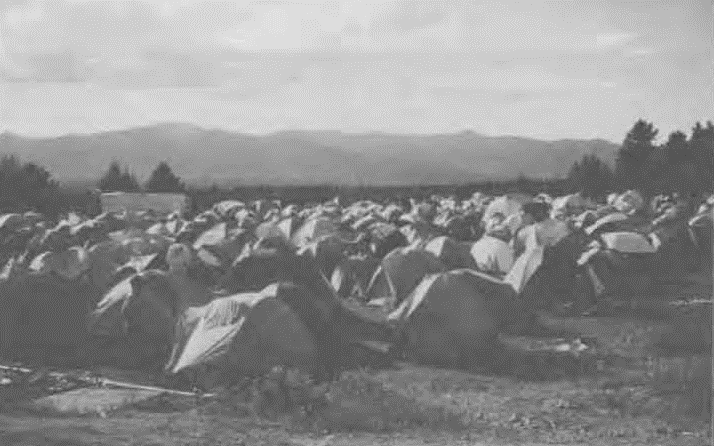 It was after a warm meal and the pitching of tents that they sat and listened to each other speak. They did not speak of their names or their jobs or their homes or their accomplishments; they spoke of who they were. They spoke with heartfelt honesty and deep reflection. It was here, under the tree in the mountains, sitting on ancient granite under the emerging starlit skies and looking out to the distant darkening valleys and glowing mountain peaks, that it all became clear to him. It was here that he saw how everything he saw and everything he had experienced and everything in history all together was all connected. Everything had led him to this place. Everything had prepared him for this moment. It was here in the dusk of the clear, thin mountain air, next to the snowy tree rooted solidly in the rock and reaching resiliently to the light above, that he knew he was both Earth Owl and Sky Wolf. He thought back to his youth when he was filled with the unconditional love of his parents, Father Sky and Mother Earth. Father Sky had grown up on a small coastal Massachusetts farm and had an ancestry dating back to the Mayflower that was immersed in American history and Native American culture; Mother Earth was the child of Scottish immigrants, her father a Massachusetts shoe cobbler. He remembered his own boyhood years of outdoor play, community events, and neighborhood sports in Burnt Hills, a land once inhabited by the Mohawks as part of the Iroquois nation. He had recollections of the mountain-climbing, canoe-travelling, and backcountry-camping adventures with Father Sky. He felt the warm support and friendship of Mother Earth. He thought of his personal traits of honesty and integrity which he learned from both Father Sky and Uncle Marine, and how they had taught him to do the work, stand tall, and be loyal to his sense of doing what was right for the benefit of everyone, especially friends, family, and his home village. Father Sky and Uncle Marine had grown up in a period of world war, when wealth was scare, and you did what you needed to do to provide for your family and support your nation. He thought back to his childhood days of both loneliness and neighborhood friendships. He had many friends, but rarely close friends. He saw the best in others, assuming that they would see the best in him. In reality, it was only Father Sky and Mother Earth that were always there for him and really understood him. Maybe Sister Smile too. Yet, in his mind, he still led his life as a positive, happy, caring, and helpful role model, choosing to just do what he thought was right, doing what was healthy, not taking things too seriously, even if it meant going his own way. After all, living a straight life as a teenager was not the popular choice; it was easy to feel ridiculed and different. “Go where there is no path and leave a trail” were words that resonated in his memory. He had a picturesque imagination filled with beauty. He felt empowered. He remembered how he would spend evenings under the starlit sky and imagine his connection with all of the Universe. Those skies looked very familiar to him as he sat on this West coast mountaintop. He remembered how he would reflect upon all kinds of things and imagine all kinds of possibilities. He remembered how he always worked so hard in his school and college days, earning advanced degrees from engineering colleges, winning scholarship and citizenship awards, and publishing research papers. He rarely took days off, but when he did, it was usually to teach skiing or to participate in short family vacations. He became certified to teach skiing at a very young age. He loved being in the mountains. He loved sharing his passion for skiing with others. He loved being a role model for younger people. He remembered how his positive smile was so contagious. He remembered how most people described him as “nice” (sometimes, though, in a derogative judgmental way). He remembered how he loved to dance and move his body to music, sometimes becoming deeply immersed in the message too. He remembered how he persevered through a high school back injury, learning that he had a congenital back deformity, and being told that he should avoid contact sports, skiing, and loading his spine. He remembered how he got on his bike and rode, determined to overcome these physical obstacles by trying something new. He felt proud of the work he did as a young professional engineer, quickly progressing to be a project manager, company partner, and regional leader in New York State. He grew up near where the Mohawk River meets the Hudson River, where the Dutch met the Mohawk; he also spent his college and university years and his early adult years near the same rivers. The Hudson River flows steadily from the geologically-old and currently-wild Adirondack Mountains to the waters of the Atlantic Ocean. Most of his early years were in these mountains, near these waters, and surrounded by the history of Saratoga, the French and Indian Wars, the American Revolution. He felt like he planted many seeds of support for the young engineers and ski instructors who he mentored during these years. He had led the construction of many successful building structures; he understood the forces of nature, structure, and connections. He left his workplaces having influenced positive cultures of interdependent and cooperative working relationships. He remembered how ashamed he felt when he was divorced from his first wife. He realized quite early in their marriage that his innocent nature was not a match for his street-wise, NYC-bred-and-orphaned wife. He also remembered how Uncle Marine looked at him deeply, with the eyes of battle experience from two wars, and told him that he’s had a good life, time to move on. He did. It was not too long afterwards when he explored a life of adventure, taking some real vacations for the first time, choosing to test the strength of his mind and his body… and the durability of his back and supporting core. He went on many long rides, sometimes covering over 200 miles in 24-hours under the power of his own legs and his determined mind. He hiked in the forests of Belize and Guatemala, he swam and surfed in the warm waters of Hawaii and the Caribbean, he competed in endurance races, he guided mountain bikers and climbed snowy mountains at night, he participated in high-ropes adventure learning courses, and he explored the mountains of California and Utah. He encountered a night of Death, as he pedaled in a race disrupted by drunken drivers and stricken riders. The smell of Death lingers; it heightens the essence of Life, he thought. He took his bicycle with Sister Smile to New Zealand, The Land of Many Sheep, for a month, without a real plan, and experienced an adventure-of-a-lifetime with his childhood neighbor. The trip unfolded in ways he had never experienced nor anticipated. He became familiar with the acceptance and the enjoyment of the journey; the destination always seemed so far away. He saw beauty in every direction. And then more recently, after about a dozen years as a young professional engineer and experience as a ski school leader, he had decided to take a year away. He decided to leave the security and success of a young and promising career. With no plan, he left the familiarity of the New York valleys and rivers, and headed across the border to Vermont to the land of the Green Mountains. Father Sky and Mother Earth expressed their support and confidence in his choice. He felt free to explore. He knew deep inside that there was something more he was supposed to do with his life. He decided to sign up for this outdoor leadership course. He was now on this mountaintop, seeing rising stars which looked familiar, seeing snowy mountains which he had come to know, and feeling the energy of his brethren trees standing tall at his side. He felt the strength of the standing trees bending under the weight of the snow; he felt his strength and his ability to do work with discipline and integrity. He felt the loving arms of the supportive earth where the tree roots spread out deeply; he felt his own loving kindness and his ability to care for others with whole-heartedness. He felt the tree reaching skyward for the light of the sun and the heavens; he felt his own tendencies to look at the big picture from above to see clarity and truth, always asking, “why?” He felt the moisture in the branches and smelled the fragrance of the needles, and realized that these trees face uncertain futures but still strive to stand tall each day; he became deeply aware that this expedition (and indeed, the rest of his life) would be about learning from the unexpected adventures of life as they unfolded. His previous experience in life had prepared him for this moment. And perhaps, this moment would prepare him for whatever might come. He had already lived many lives both as Sky Wolf, the protective leader of his village who strived in a spirited manner towards day-to-day goals and community vision, and Earth Owl, the caring, wise observer who saw answers and new perspectives while keeping a kind, soulful acceptance of our common loving nature. Sky Wolf was his knowledge-based daytime work efforts; Earth Owl guided his heartfelt, intuitive wanderings and accepting nature. They met in the trees where the earth meets the sky. They met at dawn and at dusk, where the rising sun cast light on the day and the emerging stars called for reflection and learning. At this time, on this mountaintop, he occupied both an intelligent mind and a powerful body. At this time, he knew he had been prepared for whatever was to come. At this time, he realized that he was indeed a child of the Universe, like the trees and the stars; he belonged here. Everything was connected and was unfolding continuously… naturally, and guided by the common presence and importance of every evolving living being and every piece of matter. As he saw it that evening, everything was One. And he was an important part of whatever was to unfold. In his young work life, he lived primarily as Sky Wolf. Little did he know, at that time, that his life as Sky Wolf and Earth Owl living and working together was just beginning. Little did he know, that this emergence as One Being was only in its infancy and his youthful years of self-discovery and his mid-life years of transformation were just beginning. He was being prepared for the future adventures to come. As he hiked out of the mountains from that expedition, he watched as cut-and-run helicopters decimated a forested hillside for lumber to be used all across the country. He listened to music in the van on the ride home: Bullet the Blue Sky. U2. With the sound of choppers in the background it says, “Outside its America.” It was June 1996. He would return to base camp and learn that friends of our expedition leaders, men halfway around the world, were making Life or Death decisions as they also climbed into thin air. He returned from this expedition confident and filled with the knowledge that he could lead, he could survive, that he could press beyond the impossible, and that he was strong, durable, and powerful. Even at 38 years old, he had endured avalanches and days climbing in hip-deep snow on the expedition. He carried everything he needed in life on his back; he worked effectively with others to ensure the survival of the entire group, some members half his age. He kicked many, many steps for others on the steep frozen slopes of the magnificent Cascades. He came home to the loving home of a new family in Vermont and quickly got married as a new man. His new wife was Golden Lioness, radiant and beautiful, strong and independent. She was the mother of two beautiful children, four-year-old Little Flower and eight-year-old Little Tree. He left behind his work as an engineer in New York and began a career in the ski and snowboard business as a clinician, staff trainer, and director. It was 1997. The first few years were filled with invigorating educational work, leadership successes, and summer and winter adventures with his new family to explorations in the Western mountains. 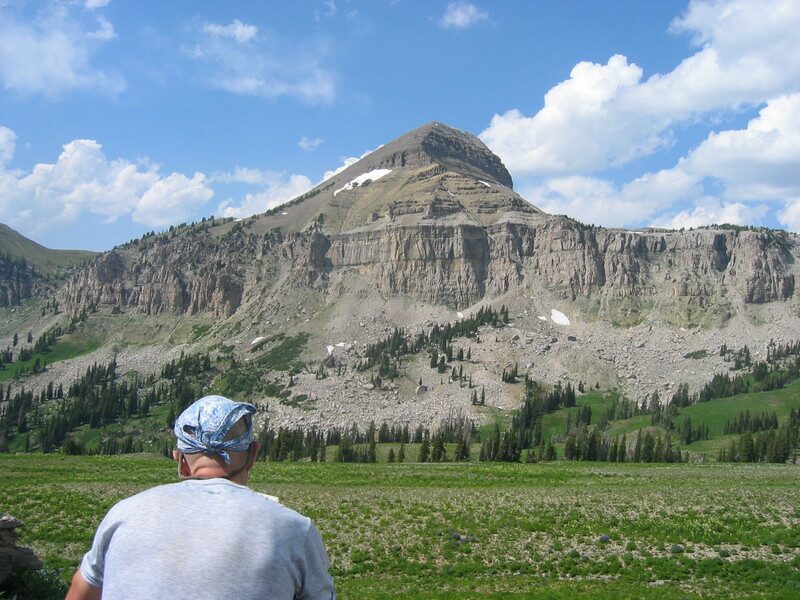 He felt like himself in these big Western mountains surrounded by Big Sky. Utah. Colorado. Washington. Oregon. Wyoming. Montana. Golden Lioness also became a certified ski instructor and was known for her radiant smile. Little Flower and Little Tree eventually also became ski and snowboard instructors, enjoying family experiences in nature, often sharing these experiences with their friends. There was a time when Sky Wolf and Golden Lioness even spent an entire week together on one bicycle built for two, pedaling 500 miles through heat, hail, and storms. It was their expedition together when they realized the strength of their interdependence and the power of their individual resolve. They passed over Colorado peaks where Rivers Flow East and West, and where Big Sky is expansive. In order to improve their schooling experiences, Sky Wolf spent a year driving Little Flower and Little Tree to a far-away school and taught classes himself. Health and Wellness. Geography. Math. He even led a winter camping course with his children and their schoolmates. Together with Earth Owl, he facilitated an experience which may indeed have been the highlight of these many young lives. But, they all soon realized that they would need to move and find a new school. The tuition costs for children of a step-father teacher were too expensive for the commuting family. They moved to another Vermont community, where the kids entered a new school; Golden Lioness started a new yoga studio; and he started a business as a timber-frame home and sustainable designer. He called it Gaia, to represent the Oneness he had experienced on his expedition, and the connections between healthy living and healthy homes. Even with the move to the new community, it seemed that everything was happening relatively easily and positively. There was a certain ease and flow with their lives; they had found a good school and an active community. Of course, being a step-father was a learning experience. As Sky Wolf, he had to learn when to step in and lead; as Earth Owl, he had to know when to step back and accept things as they were. He had a short leash when it came to making mistakes; he felt tested and judged as a step-father, but he tried to go with the flow whenever possible. For him, it was the ultimate test of giving unconditional love and letting go of expectations and outcomes that he could not control. And enjoying the journey. He tried to be a good father to Little Tree and Little Flower, and to continually try to support them and help them see their own Way. Little Tree had an inherent inquisitive nature and was very smart; he deeply missed his natural father like he had lost his sense of self. Little Flower was intuitive and seemed to be confident with who she was. Both children were naturally talented and fun to be around. He had fallen in love with them immediately. Things changed when Black Bear and his new wife moved into his family’s new town in Vermont. Black Bear was the father of Little Tree and Little Flower, and former husband of Golden Lioness. Black Bear had been in jail in the Land of the White Mountains. Immediately after jail, he had been limited to travel only in the Land of the White Mountains. Now, Black Bear was free to travel across boundaries. As the new husband of Golden Lioness, he knew of the background. He knew that Golden Lioness and Black Bear had a bad marriage, and that bad things happened. Tragic things. He knew that Black Bear had been convicted in the Land of the White Mountains; there was drinking and driving and Death was there. He knew more. Much more. But those are stories for others to tell. He just knew that here were two beautiful young children looking for some semblance of normalcy in their early years. He knew that Golden Lioness worked tirelessly to care for her children. He did not understand the depth of their story and how deeply it lingered. Yes, during the early years, he saw some unfamiliar behavior. Every time the kids and his wife returned from the jail visits, there was some unexplained anxious behavior. He didn’t understand it, but he thought it was understandable. The behavior also surfaced when they returned from visits to see Golden Lioness’s parents, Father Bear and Mother Lioness. He was supportive of Golden Lioness’s practices to learn yoga and to be engaged in other holistic wellness remedies. Zero balancing. Massage. Reiki. Readings. Chiropractic work. She had a powerful sense of intuition and energy. When Black Bear was allowed out of the Land of the White Mountains and got re-married, Black Bear got re-acquainted with his old Vermont friends, many of whom were also friends of Golden Lioness. Golden Lioness heard of stories wherein Black Bear had spoken in front of school children speaking of his accident and the wife who divorced him because of the accident. She saw some videotapes of the presentations; there were things he said that just didn’t feel right, he sounded like a victim. She heard where Black Bear’s new wife was implying to the kids that Black Bear’s drinking was because Golden Lioness was not a good wife. Golden Lioness and Earth Owl did not want to believe that this indeed the case; however, the fear that it might be the case started to take root. Golden Lioness started to have some unexplained anxiety attacks, random panic attacks. It seemed that her world was closing in on her. However, she marched onward, trusting that goodness would prevail. Earth Owl was afraid. Then Black Bear moved to the new town, wanting to be closer to Little Flower and Little Tree. Golden Lioness broke down. Things fell apart. Golden Lioness wanted the kids to have a good relationship with their dad, she always did. But, unfortunately, her body couldn’t tolerate it. Nervous anxiety exploded. Little Tree moved in to live with Black Bear and his new wife, as any boy would be expected to do, and eventually left for college. Golden Lioness sought help. She eventually closed the yoga studio. Fearful of what Black Bear would do if Black Bear knew of Golden Lioness’s illness, she kept it quiet. She would die if she lost the custody of her kids, or if Little Flower moved out too. Her constant panic attacks and inability to function were a generally kept a secret. Certainly, unexplained behavior carries a negative stigma in society… and certainly they didn’t really understand what was going on. No one did. Doctor after doctor. Diagnosis after diagnosis. Week after week. Month after month. Year after year. It went on. Unlike physical ailments or even terminal illnesses, the scientific knowledge surrounding mental health is in its infancy. It was an intensely private time for the withering personas of Sky Wolf and Earth Owl; day-after-day Sky Wolf emerged as the dutiful protector; day-after-day there was something melting away from his spirit and something hardening in the heart of Earth Owl. Lonely, yet determined, Sky Wolf found solace in his personal gym; Earth Owl found the essence of yoga practice. Together as One, he discovered the wonder of the human body and its ability to adapt and persevere physically and mentally; he began a journey in re-building his body and mind and subtle nature through new eating and whole-body-centered practices. It started to become his lifestyle and daily ritual, his motivation to wake-up each day. It was a practice to hold on to. There were days when he didn’t know if Golden Lioness’s behavior was a result of the illness or the medication. He would bring his wife to every expert he could find and wait for their prescription to take effect. He read and read. She got worse. Morning long panic attacks. Night-time inability to sleep. Fainting from medication side effects. She would scream all morning in pain asking for him to help her. Screaming. Crying out for help. Heart-wrenching cries of pain. He felt helpless. She had The Eyes. The scent of Death was in the air. Indeed, he began to lose sleep and have anxiety attacks. He was caring for her during the day, trying to do design work and shopping for food at night, being there to provide some level of normalcy in Little Flower’s life. He sold some of his possessions to pay the medical bills. Golden Lioness’s light was dimming away at an accelerating pace. Little Flower was losing her childhood smile, though being resilient and caring throughout the ordeal. He had to protect both Little Flower and Golden Lioness, sometimes taking the blame for their inability to visit with friends or keep appointments. He tried to provide a safe haven in their house, but often found that only taking her on vacation out-of-town enabled her to relax. He and Golden Lioness and Little Flower spent many winter weeks during this time in Utah, teaching skiing at Snowbird. He would not let Black Bear come near their house while they were home in Vermont, despite the wishes of Little Flower and Little Tree. He would lay all morning by her side, holding her, whispering poems in her ear, breathing the breath of the warrior, yoga-style, like they had learned before. He would take her for walks in the woods. He became buddies with their dog, Jackson Moose Wyoming. They would listen to Yoga Nidra CDs and she would try to practice yoga asana. He would wait for Little Flower to come home from school, knowing that that would motivate Golden Lioness to get out of bed and act normal. The motivation to be a mother for her daughter kept her alive. Indeed, even professional psychiatrists would express to him that they were surprised that she was still alive. A family doctor even asked Little Flower what it was like to have a mother who was mentally ill. It was a dark time. He brought Golden Lioness to her parents’ Doctor Crazy Fox at their request. They lived near the Big City. He heard Father Bear talking on the phone to Doctor Crazy Fox seemingly in private conspiring to get her admitted into a Big City psychiatric hospital where they would try such things as electric shock treatment, maybe even brain surgery. He lay in bed as Earth Owl, privately shaking, wondering what to do. Soul-searching. Wondering if his life was destined to visiting a sick, institutionalized wife. Her Life was withering away. He was smelling Death again. That morning, while in the house of Father Bear and Mother Lion, Father Bear walked aggressively towards him demanding that he make a decision; Father Bear was prepared to have Golden Lioness taken away and admitted into the Big City hospital that day. Father Bear was strong-willed and forth-right; he took pride in making decisions and making things happen. At dawn the next morning, after letting go of feelings of personal responsibility and finding faith in the powers of infinite Love, things shifted for Earth Owl and Sky Wolf. Through a series of coincidences (of course not really coincidences), Sky Wolf, with the help of Earth Owl, was finally able to get the right help for Golden Princess. He found an emergency room at a hospital that had the proper expertise and he took her there. And she was able to finally let go of the expectation that he alone could save her. She was diagnosed with Post-Traumatic Stress Disorder (PTSD) from the experiences of the years with her previous husband, Black Bear. Of course, when Black Bear encroached on her feeling of personal safety and control when he came to town, she was constantly triggered into emotional behaviors from the effects of the trauma held in her body for many years. She had unknowingly stored this trauma deep in her tissue; she was consumed by the feelings of guilt and responsibility for the events that occurred years before. She would need time to heal; her personal experience with the healing nature of yoga practice and mindful awareness would become the paths for her recovery. Remarkably, her previous life’s experiences and holistic health practices had intuitively prepared her for this moment. Throughout this entire period of time, Sky Wolf was frantically researching solutions for Golden Lioness. Based on the behaviors he witnessed and information he found, he suspected something to do with the trauma or her relationship with Black Bear years before. He found assistance from women’s programs in Maine, cognitive behavioral specialists in the Land of the White Mountains, local pastors, anything he could find. The doctor he finally asked and who steered him towards the proper path that next morning was someone they had met in 2003, through Golden Lioness’s yoga teacher Sunny Day, who had become an expert in PTSD since the events of the day of Death, September 11, 2001, in the Big City. The medical expertise achieved through the events of 9-11 and the ensuing post-traumatic symptoms of family members, rescuers, and other observers became the basis of information and research that would eventually guide Golden Lioness’s medical recovery. The events surrounding Golden Lioness’s original trauma and emotional distress had taken place more than 7 years before 9-11, culminating in 1994; things began to fall apart a few years after 9-11; and Golden Lioness was finally admitted into a hospital where she began her recovery from PTSD a few years after that, in 2007, about a dozen years after the events surrounding her marriage with Black Bear. Step by step, Golden Lioness found her way back. Step by step, Sky Wolf and Earth Owl found their common purpose as One again. Little did Sky Wolf and Earth Owl know, their days as One – both warrior and healer – were just beginning; little did he know how Sky Wolf and Earth Owl would emerge as One again; little did he know how beautiful and strong Golden Lioness would be again one day; and little did he know how Little Flower and Little Tree would grow. Chapter Three: Learning to Begin Again. Things happen slowly, sometimes, and of course healing from PTSD does not happen quickly. It takes personal resolve; it takes heart; it takes practice; and it takes support. He visited Golden Lioness in the hospital daily for 2 weeks, almost a 2-hour drive away from their home. He’d be home in time for Little Flower to arrive home, do his work, prepare dinner, and do some more work. He learned about the therapeutic treatment she was receiving. He helped Golden Lioness with this treatment, being aware of unhealthy thoughts and fears, letting go of negative thoughts about what others might be thinking or what could happen. Little Flower had become an angel; she helped at home wherever possible. When home and after months of cognitive behavioral therapy (Western medicine’s interpretation of Eastern mindfulness) at the hospital two hours away and practice at home, Golden Lioness applied for a job at a local college, succeeded for a while, but ultimately succumbed to the effects of working in a stressful, non-supportive work environment. However, it was a first step. Another coincidence happened immediately after her resignation. An old friend of Sky Wolf, one who knew of his ability to build team and lead groups from his experiences in outdoor education, called one day. Not knowing of any of the private experiences surrounding Golden Lioness and the PTSD, she asked Sky Wolf if he would be interested in helping her welcome a group of post-9-11 combat veterans with PTSD to a new program they were conducting at her adaptive sports organization. Surprised by the coincidental nature of the call, and by this time trusting of the nature of the Universe for his Way to unfold in front of him if he pays attention with awareness, he agreed to visit and help out. Golden Lioness came along. When Earth Owl saw The Eyes in the first participant he met, Brother Love, he knew he was in the right place. He recognized The Eyes, the blank, fearful, glazed-over stare, as if it was his own eyes. This person had met Death too. His one day visit would turn into three years of work in a community more than 2 hours away from home in Vermont. The timing was right: the call came in 2009 when the economy was tanking; work was scarce for Sky Wolf and Golden Lioness was without her job. Golden Lioness worked as a marketing and special events coordinator. Years before, after she first met Sky Wolf, she had become a certified ski instructor too. So, she also helped work with adaptive volunteers and started to teach yoga again there. 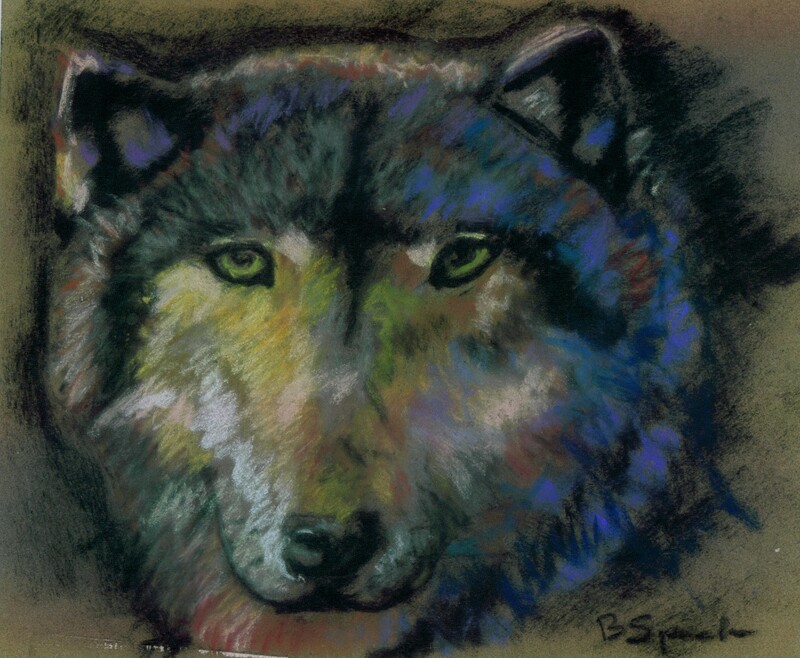 Through the work with veterans and with others with disabilities, the Oneness of Sky Wolf and Earth Owl emerged again. It seemed like he was doing his life’s work, as a healer. Creating and facilitating wellness programs for veterans with combat stress, building relationships with all kinds of people with disabilities, physical and cognitive. Leading groups. Inspiring life-enhancing experiences. Learning adaptive yoga teaching practices with his ever-emerging wife, Golden Lioness. He felt at home around the honorable nature of the veterans and their search for healing and meaning. Those that knew Death also knew Life. He felt his own power and resilience again as he stood by them, walked next to them, and healed with them. He saw how he had been prepared for this moment through all of his life’s previous experiences, good and bad, light and dark. He saw how helping others brought out the best in everyone, just as Brother Love knew. The Eyes appeared less often. Brother Love had become a friend. They got tattoos together, consummating a spirit to let Love live and to plant seeds of joy throughout One’s home village. Brother Shaman brought out the Oneness of Sky Wolf and Earth Owl, acknowledging how they had merged into a balanced place, he now flowing with nature and consumed by Love for all. Brothers Big Ride and Fast Ride reminded Sky Wolf to listen to the wind, to sit amongst the trees, and to listen to Earth Owl. Brother Ground Zero reminded us all to walk on with trust, faith and a big heart… and to carry a big stick. Red Rose Running validated the Oneness of Sky Wolf and Earth Owl, and became an inspiring soul partner, working with Golden Lioness and him to create a new organization to help veterans with PTSD transition back to their communities in the Land of the West Coast, and being a spirit-mirror to reflect back the wondrous nature of collaborative mind-body-spirit work. And, Elder Mohawk, a Vietnam veteran, a Native American historian, a storyteller, and a wounded spirit who was still healing from a three-decades-ago war by immersing himself in the healing of these younger warrior souls, touched everyone. He found inspiration with his friendships with Gimpy Cat and Wobbly Cat, two fast Mountain Lions that raced down ski hills, even with physical disabilities which limited their abilities to walk. He created new learning programs; he developed new staff training procedures. He loved his work with the adaptive volunteers. Golden Lioness and he almost moved their permanent home to this land two hours away, the Land of the Cat Hills, near the adaptive organization. After three years, though, it was becoming more and more apparent that there were unsupportive staff that were undermining Golden Lioness’s ability to be healthy and Earth Owl’s ability to serve whole-heartedly. Finally, the passive-aggressive and bullying nature of one Blue Cat took their toll on them, and Sky Wolf, Earth Owl, and Golden Lioness returned to Vermont to begin again. The over-protective nature of Sky Wolf regarding Golden Lioness took its toll on him, and bridges were burned. Earth Owl is still learning to let these feelings go. The next step lasted for only a year and a half, but out of this step emerged an even greater opportunity. Arriving back in Vermont, Golden Lioness and Earth Owl started a non-profit organization themselves, and took work at a local ski Corporation. They were hired to develop a health and wellness culture through resort-wide programming and events. Golden Lioness quickly developed a new yoga Living Room and developed mindful movement events. Sky Wolf quickly got promoted from snowsports school manager to director of all mountain sports. Perceived by many to be one of the top jobs in the industry, the position would have seemed to be the pinnacle of Sky Wolf’s ski career, a career that included: ground-breaking learn-to-ski programs and equipment-performance work; cultural, guest-centered and strengths-based leadership; and the coaching of master teachers. Again, however, the competitive nature of the Corporation undermined the health of Golden Lioness, and she had to resign to find her strength back again. The scent of Death had visited again. Months later, Sky Wolf, after successfully working hard to improve resort culture and develop successful new snowsports programming, resigned too. Again, overwhelmed with his inherent nature to support his wife and conflicted with his sense of integrity – working at the Corporation that had hurt her again so deeply – he left abruptly, emotionally drained. In only a year and a half, Sky Wolf had lost his Earth Owl persona too. He wanted Earth Owl back in his life. The local non-profit organization they founded was also dissolved. It was during this time that he lost his father, Father Sky, to Death. He shared the last night by Father Sky’s side, shared his last breath, and watched as Life left his body. Within months, Golden Lioness also lost her father, Father Bear, to Death. She shared the last night by Father Bear’s side, shared his last breath, and watched as Life left his body. They both witnessed the peaceful transcendence of their fathers; Death was present, but The Eyes weren’t. A door opened for Golden Lioness to open another heart-centered yoga studio in the Village. A partner stepped forward. Doors to the studio were opened late in 2013. Now, she bravely walks forward again, open to the future, letting go of her past, accepting things as they are, with an intrinsic gratitude for Life, and her natural attitudes of openness, vulnerability, and discovery. As Golden Lioness found her health again and started to let her light radiate again through her yoga-teaching, Sky Wolf and Earth Owl reunited again. Slowly but surely, he found his confidence again in what he knew deeply through blissful yoga trainings in Canada with Ocean Finn. He re-connected with his spirit guides, Kokopelli (planting seeds, spreading joy) and Hanuman (serving others with heartfelt strength, loyalty, humility and humor). He knew he was supported by the spirits of Father Sky and Uncle Marine, Lord Jesus and Lord Buddha. He re-connected with his true nature through yin yoga trainings with Circles of Love. He started to teach yoga himself in late 2014. He started to work with disabled youth again. Gaia-inspired, timber-home design started to find its way to his doors again – Brother Big Tree always had confidence in him. He is starting to explore being a coach for the people of the Village, helping them find their unique and individual powers. For the first time since moving to this Vermont Village, he is starting to venture out within this Village to find his own smile again. And he started to write this story on September 11, 2015. There are many chapters to follow. They will probably include stories of mentoring, teaching, facilitating learning, coaching and leading. But, these future pages are currently blank and the future course is uncertain. It seems that as the clouds start to depart, Sky Wolf starts to shine on Earth Owl, and the path becomes clearer. These previous chapters seem dark and faded. There was a point in time when Sky Wolf let his instincts to protect his wife from Black Bear relax and he learned with Earth Owl’s influence that he could have feelings of compassion for Black Bear, too. He held on to his story quietly, however, because he wanted Golden Lioness, Little Flower, and Little Tree to be able to move on, too. Golden Lioness told her story to Circles of Love; it was understood. The stories of Black Bear will always be more understandable to the sympathetic ear. The stories of the victim’s family will always be understood. The stories of Little Flower and Little Tree will be one day understood. He has feared that the story of Earth Sky and Earth Owl will be less understood. After all, this story is told only behind the fourth or fifth curtain. Sky Wolf still jumps with protective instincts when he sees Golden Lioness with The Eyes, or when Little Tree or Little Flower struggle. In many respects, yoga has saved his life too. Sometimes mindful yoga practice is like walking in the trees; Earth Owl always seems to find him there, stimulating his intuition and perspective. In this moment, Golden Lioness is flourishing with her new studio, bringing compassion and whole-hearted spirit to the Vermont Village, bringing a level of understanding only available to her from her darkest days and her long fight back. Little Flower is blossoming in the Beacon City. Little Tree is branching out in Life, too, while also thriving in the Beacon City. Golden Lioness, Little Tree, Little Flower, and Sky Wolf and Earth Owl have a family with Love again. Brother Love has fathered two Little Hearts in St. Croix. Brother Shaman travels the world promoting a lifestyle of sustainable and mindful living, yoga, and balance. Brother Big Ride is living off the land with his wife and new child in the Upper Peninsula; Bother Fast Ride is making a movie about Dancing with Death, a dance with PTSD. Brother Ground Zero reminds us of 9-11, speaks publically to motivate support for veterans, and raises his Little Sun. 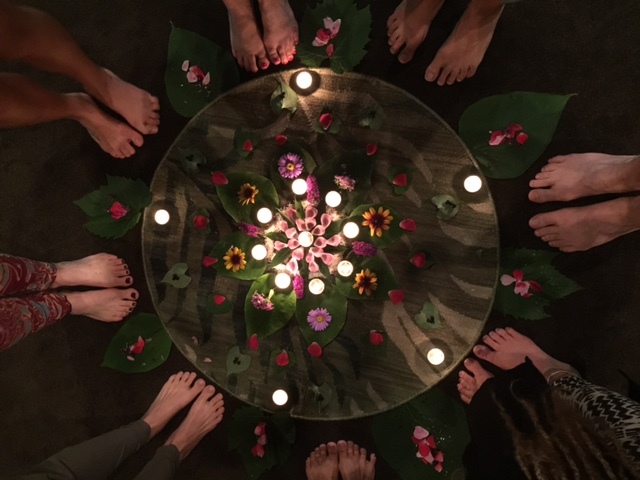 Red Rose Running continues her trek to help combat veterans transition back to the California Village, somatically, organically, holistically, with her own Circles of Love. She will be married soon to Dream Woman. Elder Mohawk lives in the hearts of many, teaches folks in the Land of Many Lakes, and speaks of the Land of Dreams and the Land of the Strawberries. Mother Earth and Mother Lioness live alone, but maintain ever-enduring spirits of resilience and family leadership, remembering their 60-plus years of faithful marriage and companionship, and the fruits of Love. Through many battles, living with Life and Death, these matriarchs live on. Earth Owl and Sky Wolf are learning to accept their nature, visiting Mother Earth regularly for reassurance and support. Earth Owl looks for trees and time under the rising and setting sun, exploring the idea of leading and facilitating again with Sky Wolf from a whole-hearted and authentic place, enhancing lives and giving care to others, sharing whatever wisdom he has gained, practicing balance, and remembering that everything is connected in space and in time. With PTSD, there will always be struggles with control, especially in a marriage. It is natural for Golden Lioness to seek control in her daily life; there is an inherent fear of loss-of-control. Similar to step-parenting, Earth Owl and Sky Wolf struggle to find balance. Earth Owl of course understands this and accepts his role in helping Golden Lioness constantly grow her sense of inner power (though sometimes it is at the expense of his own). Sky Wolf strives to protect himself (while protecting her) and find his own inner power and voice again. Together, Earth Owl and Sky Wolf find a sense of ease and balance. Together, in harmony with Golden Lioness, they watch trees and flowers grow. Together, they pay attention to new Life and the opening of doors. And get ready to begin again. He regrets the people he has left behind from his various paths, wishing he could have been more loyal to them too. Even while working in places where Sky Wolf was his primary manifestation, Earth Owl was present. He had many heart-felt collaborative working relationships with many previous co-workers. He hopes one day that they will understand that he did what he felt like he had to do, honoring the needs of his family, while trying to take care of himself too. He takes pride in knowing that some of the people he mentored in his various paths have achieved grand success. He regrets the fear that interrupted his Love and support for Little Tree and Little Flower. He hopes that Little Tree and Little Flower will flourish, and forever feel the heartfelt Love and embrace of Earth Owl and the steadfast loyalty and protection of Sky Wolf. He hopes that they understand that he did his best and that his intentions were good. He knows that in this moment, Love is present; it always was. He knows that he sees his own colorful heart in flowers, and feels the union of his multiple selves in trees. He regrets that as a husband, step-father, and caregiver, he may not have been good enough. But these regrets are stories that he continues to release by having faith that seeds have been well-planted and will be forever nourished. Life goes on. Who is he? A spirited soul who has walked many paths, a kind and compassionate soul, a responsible individual with a deep sense of integrity and discipline, and a person intending to live a spiritual and whole-hearted life. He plants seeds and supports others. He loves the adventure of living and learning. He steps forward faithfully, now with an innate sense of uncertainty, learning from the past. He accepts and appreciates the gift of the present moment. He continually strives to accept the feelings that connect us all, by seeking Circles of Love and serving others. Each step preparing him for the next, he is grounded in the soul of the East while soaring in the spirited air of the West. He is both Sky Wolf and Earth Owl. Across the Atlantic Ocean and through the blue waters of New York and the Green Mountains of Vermont, he comes from Father Sky and Mother Earth. His life partner is Golden Lioness. He is a father to Little Tree and Little Flower. He finds himself where everything, from all directions, connects. To this day, as reminders, he wears Peace, Love, and the Warrior Spirit in front of his heart. His mentors walk with him. As he learns. As he begins again. And as he leaves this story behind.